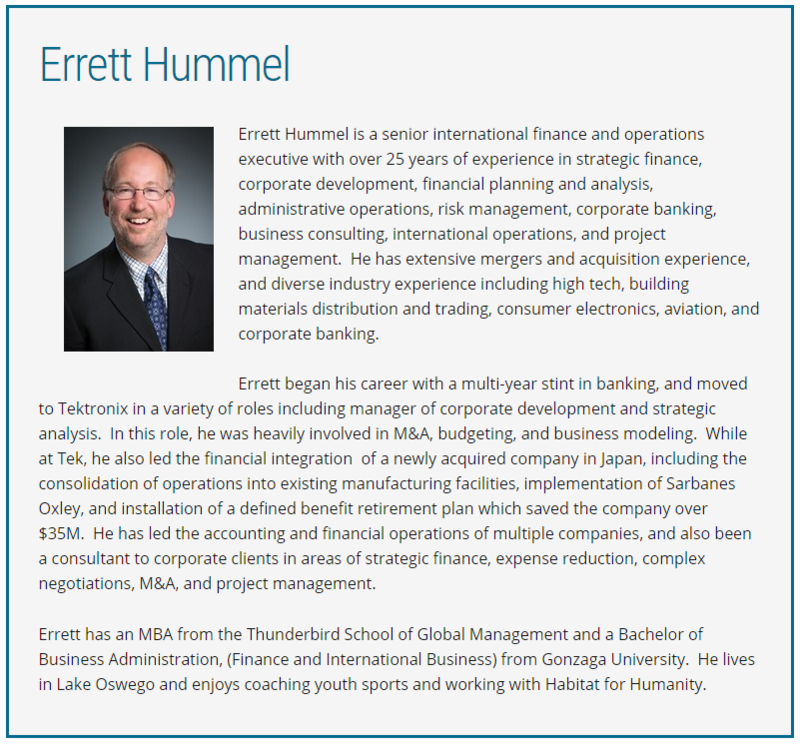 Errett Hummel is a senior international finance and operations executive with over 25 years of experience in strategic finance, corporate development, financial planning and analysis, administrative operations, risk management, corporate banking, business consulting, international operations, and project management. He has extensive mergers and acquisition experience, and diverse industry experience including high tech, building materials distribution and trading, consumer electronics, aviation, and corporate banking. Errett began his career with a multi-year stint in banking, and moved to Tektronix in a variety of roles including manager of corporate development and strategic analysis. In this role, he was heavily involved in M&A, budgeting, and business modeling. While at Tek, he also led the financial integration of a newly acquired company in Japan, including the consolidation of operations into existing manufacturing facilities, implementation of Sarbanes Oxley, and installation of a defined benefit retirement plan which saved the company over $35M. He has led the accounting and financial operations of multiple companies, and also been a consultant to corporate clients in areas of strategic finance, expense reduction, complex negotiations, M&A, and project management. 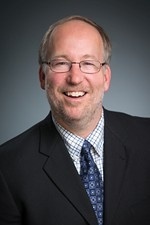 Errett has an MBA from the Thunderbird School of Global Management and a Bachelor of Business Administration, (Finance and International Business) from Gonzaga University. He lives in Lake Oswego and enjoys coaching youth sports and working with Habitat for Humanity.